The latest version of the Stereoscopic Player 1.6.9 by Peter Wimmer now comes with a built-in AVC/MVC decoder, meaning that you are now able to play Blu-ray content (MPEG-4 AVC) directly from the player, including Blu-ray 3D video files that use the MPEG-4 MVC codec. I should make it clear that this means you will be able to play directly video files from Blu-ray discs, but not the Blu-ray itself like you would do with a fully featured Blu-ray video player. 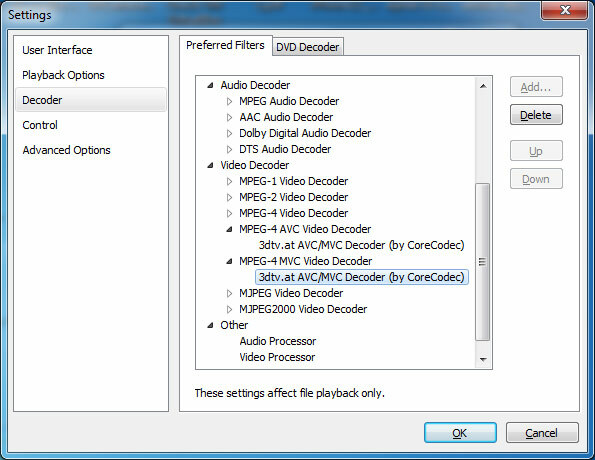 The decoder that is included in the Stereoscopic Player is CoreCodec’s 3D CoreMVC video decoder available as a DirectShow filter that is expected to be available after the release of CoreAVC 2.5 later this month. Just a reminder that the Stereoscopic Player is a commercial software, and it is time limited to 5 minutes of playback per run version for evaluation without buying a license to unlock it, so you can try the new MVC capabilities. Another important note is that the AVC/MVC decoder that you get with the latest Stereoscopic Player is a 30-day trial version, to continue using it after that, you need to get a license for the player and register it!